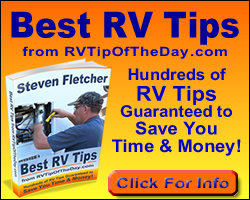 RIVERSIDE, Calif., Nov. 27 /PRNewswire-FirstCall/ -- Fleetwood Enterprises' RV Group, a leading producer of recreational vehicles, today announced the introduction of new motor home models during RVIA's 45th Annual National RV Trade Show in Louisville, Ky. on November 27, 2007. These new model introductions come just three months after the Group's National Dealer Meeting in Las Vegas, Nev. this summer. Coming off a very busy summer that included the introduction of 16 new floor plans, nine lifecycle changes, the re-launch of two Class A gas motor home brands (Terra and Fiesta) and the debut of two new Class C diesel motor home brands (Icon and Pulse), Fleetwood's Motor Home Division continued its focus on innovation with the debut of five new models in Louisville. The introduction of the 2009 American Allegiance luxury motor coach brand developed to bring the American Coach lifestyle to an entirely new customer demographic. A 42' full-wall slide, mid-ship TV floor plan with front kitchen on the 2008 American Eagle and Tradition luxury motor coach brands (42C). A 37' triple-slide floor plan with a new mid-ship TV on the 2008 Pace Arrow high-end Class A gas motorhome brand (37C). A 36' triple-slide floor plan with split galley on the 2008 Southwind Class A gas brand (35A). A 36' triple-slide floor plan with innovative bath and a half layout on the 2008 Terra and Fiesta entry-level Class A gas brands (36T). "In model year 2008, we focused on developing innovative motor homes in all segments of our business," said Paul Eskritt, President of Fleetwood's RV Group. "The new models we introduced in Louisville exemplify this commitment, as well as the valuable relationship we have with our dealers who continue to be key players in our current and future successes." For more information on these new motor home model introductions or any other Fleetwood motor home products, call 1-800-444-4905 or visit http://www.fleetwoodrv.com.